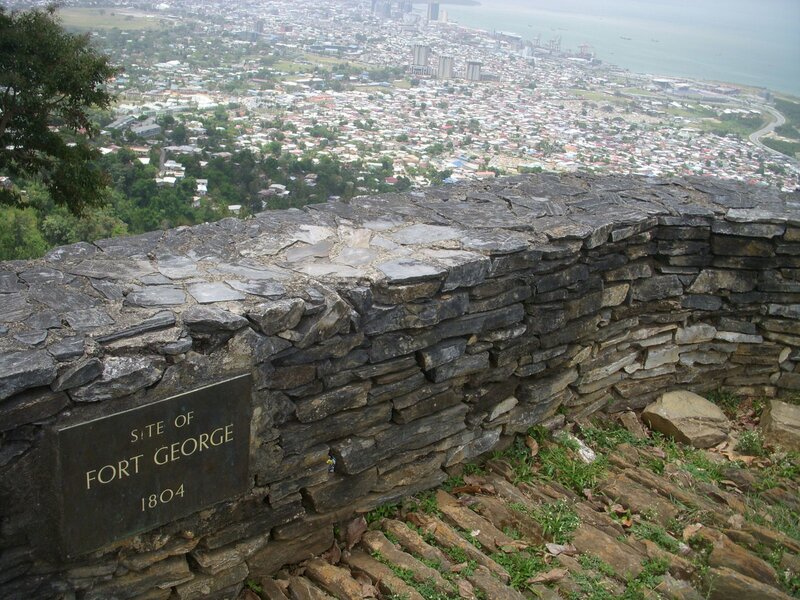 Sitting 1,000 ft above Port of Spain, Fort George was built by the British in 1804. Nestled high above the town the fort was used to monitor all advancements on the capital city. 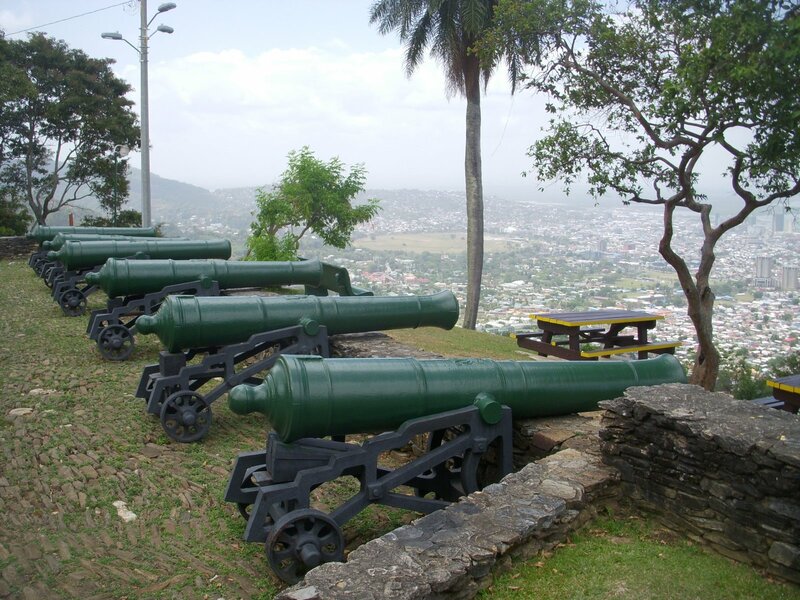 From the vantage point at Fort George you have an amazing birds-eye-view of all of Port of Spain. The beautiful view of the city and the conveniently placed picnic tables and decorative landscaping make it a favorite for locals wanting a small escape from city life. The only problem with the fort is the journey 1000ft up the mountain to reach it! The windy one-and-a-half lane road up the mountain with no guard rails (I repeat, no guard rails!) was treacherous and I probably wouldn’t have made it safely without an experienced driver. But besides risking your immediate safety it’s a great place! After trekking down the side of the mountain we journeyed into Port of Spain to go on an impromptu tour. This was our first real day of going into the heart of the city and it is a very lively place, especially during lunch hour. I got a little taste of home from the pedestrians who blindly darted in front of oncoming traffic. It reminded me of UGA’s campus, specifically the intersection of Baldwin St. and Sanford Dr. during class change. Once in the city we made a pit stop at Queen’s Park Oval, the cricket stadium. 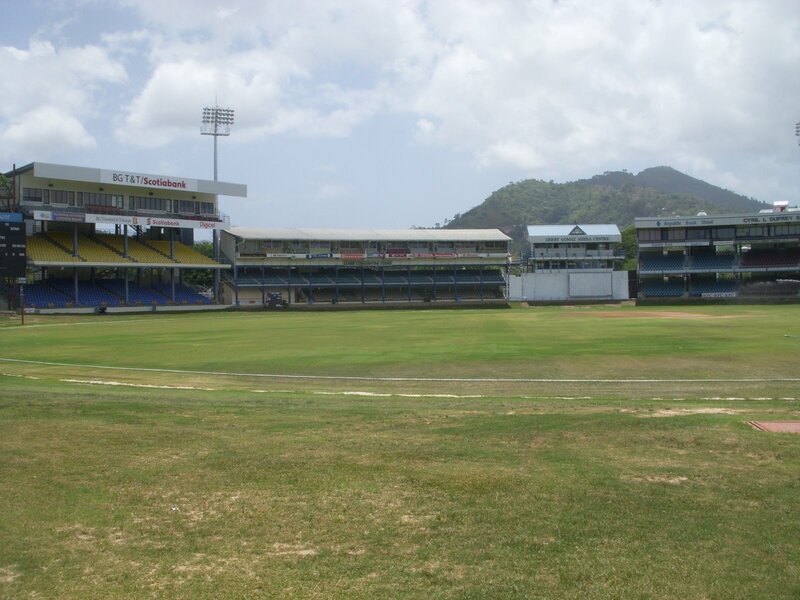 With a capacity of 25,000 people it is the West Indies largest cricket grounds and is home to the Trinidad & Tobago cricket team. Our guide, with surprising ease, talked our way into the stadium although it was closed. It was eerie actually being inside the empty stadium after researching so much about the sport before the trip (see “Cricket” post). At the official halfway marker for the trip, today we ventured out of Port of Spain into the southwest region of the island. 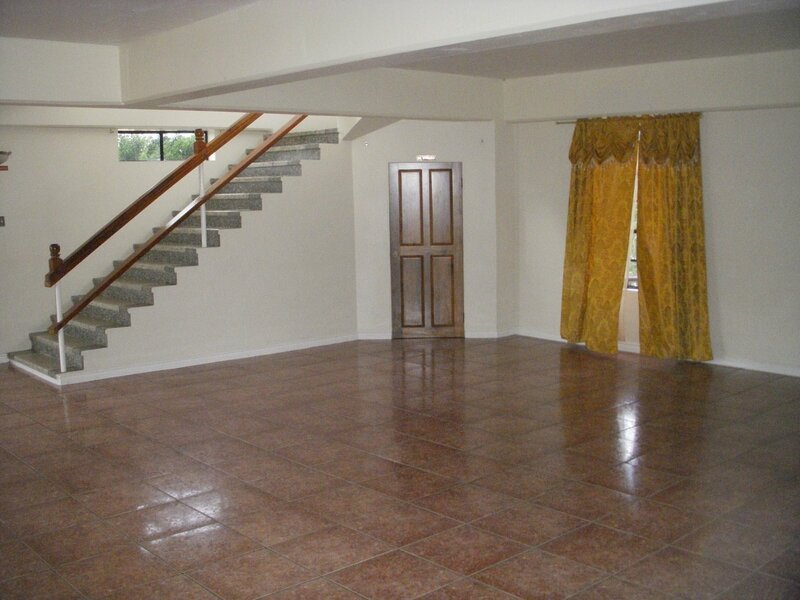 Our destination was San Fernando and it’s premier attraction San Fernando Hill. Affectionately referred to as simply “The Hill” by locals, the limestone formation is the tallest point in the region. 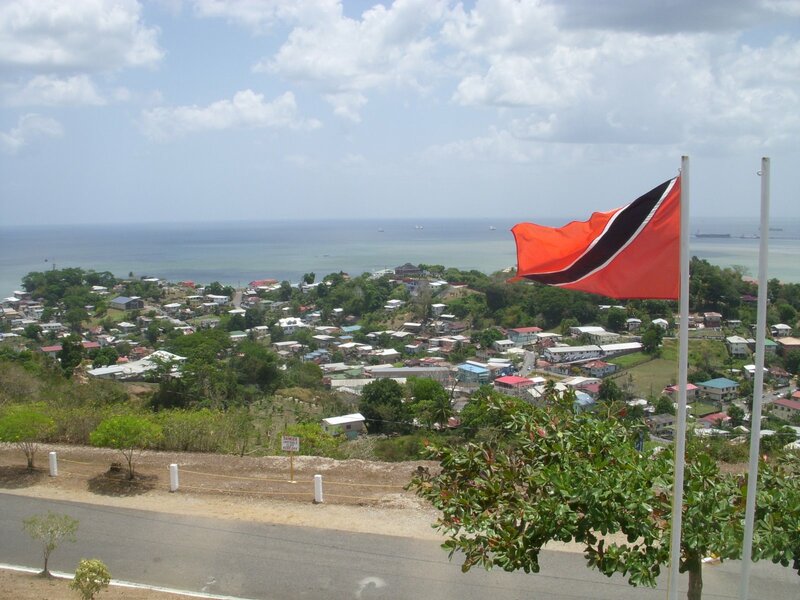 The Hill provides excellent views of the of south and central Trinidad, the Gulf Of Paria, and on a clear day, the coast of nearby Venezuela. Unfortunately today was slightly overcast and Venezuela was not visible but the Hill still offered a very commanding viewpoint. Being employed by the UGA Vistors Center, I was excited to learn that the Hill had its own “Visitor Centre.” This pathetic excuse for a visitors center was disheartening. The entire building was empty. Not a single brochure, pamphlet, tour guide, information desk, NOTHING! 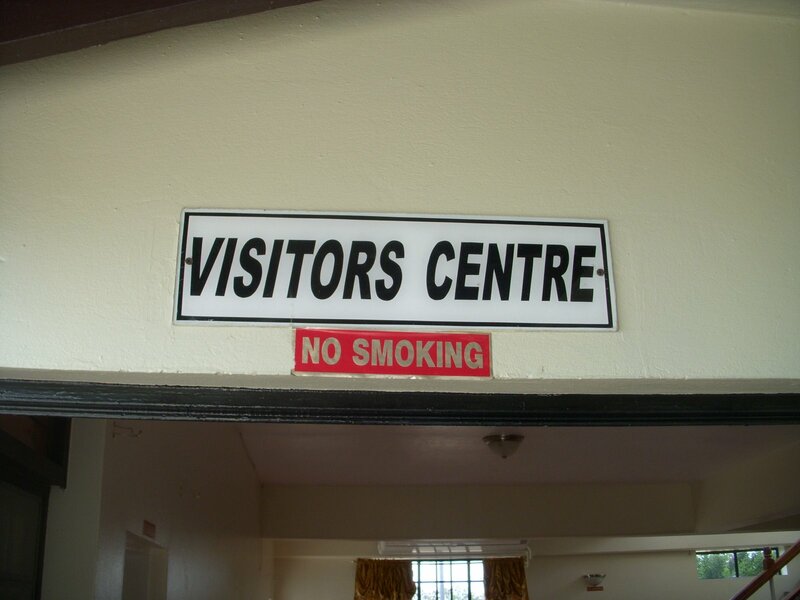 The only thing their “Visitor Centre” offered was a flight of unmarked stairs that led to a look out point. Needless to say I was very disappointed but overall the Hill was still a powerful attraction. On the trip back to Port of Spain we were able to see some of the industry that keeps the island afloat financially. Unlike many of its neighbors in the Caribbean, tourism is not Trinidad’s main source of revenue. The thriving oil and gas industries are the country’s main source of income. 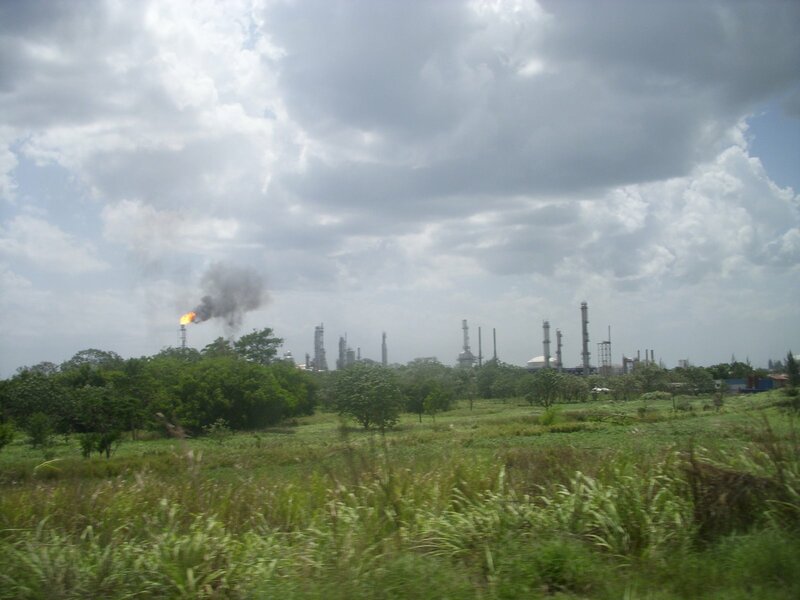 We travelled through some of the oil fields and were able to see some of the oil refineries that support the area. 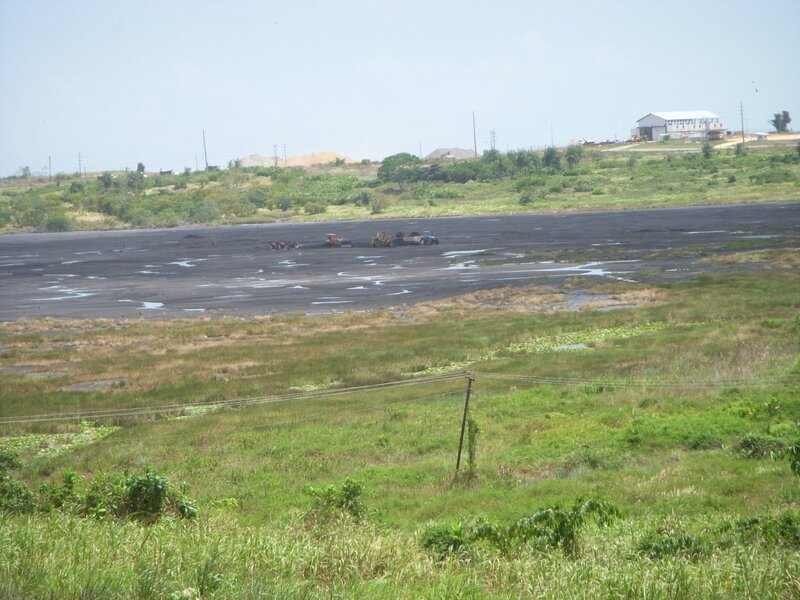 We also saw Pitch Lake, the largest natural asphalt deposit in the world. “Discovered” by Sir Walter Raleigh in 1595 it has fascinated explorers, scientists, and tourists ever since. Now it provides a boost to the local economy through the exportation of the asphalt for road construction. To cap off the midway point in the trip we ate dinner at the marina. The restaurant was hidden away in a place that only locals and “yachtees” (yacht owners parked in the marina) knew about. The food was great, but the atmosphere was better. The patio sat on the water with the sights and sounds of the marina engulfing you. As the sun slowly faded away past the horizon, the mesmerizing sound of the waves slowly crashing into the shore was profoundly peaceful. A true Trinidadian way to end the day: Liming. Jason, Thanks for sharing your journey. Be adventurous, be courteous, be safe!